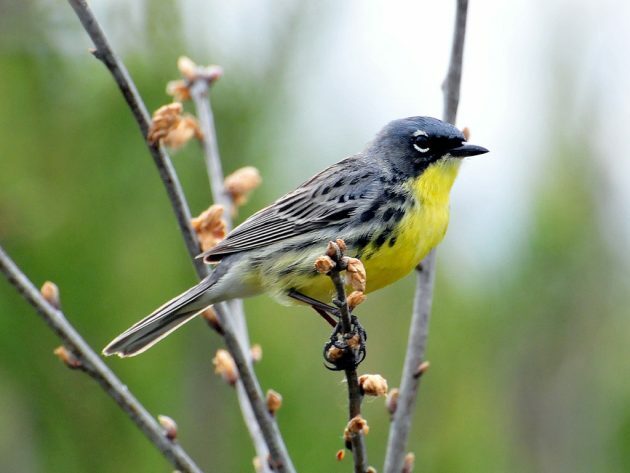 The jack pines of Michigan are well-known as the breeding grounds of the Kirtland’s Warbler—and thus, the best place to catch a glimpse of this exceedingly rare songbird. But how do these tiny birds get there? And where do they spend the winter? For the first time, scientists have some solid answers. Through the use of minute, light-sensitive geolocators, the birds’ migration habits have been revealed, from the Caribbean, along the U.S. Eastern seaboard, and up to Michigan. The new research, from the Smithsonian Migratory Bird Center, is published in the latest Journal of Avian Biology. If that’s not exciting enough, the Smithsonian crew has teamed up with the Cornell Lab of Ornithology to launch the Kirtland’s Warbler Migration Blitz. Birders in the southeastern United States can sign up to watch out for the birds as they pass through on their way to breed. Photo of Kirtland’s Warbler in Michigan by Jeol Trick, U.S. Fish and Wildlife Service. Amazing how much they keep finding out about Kirtland’s Warbler. And, their range in the U.S. is expanded!